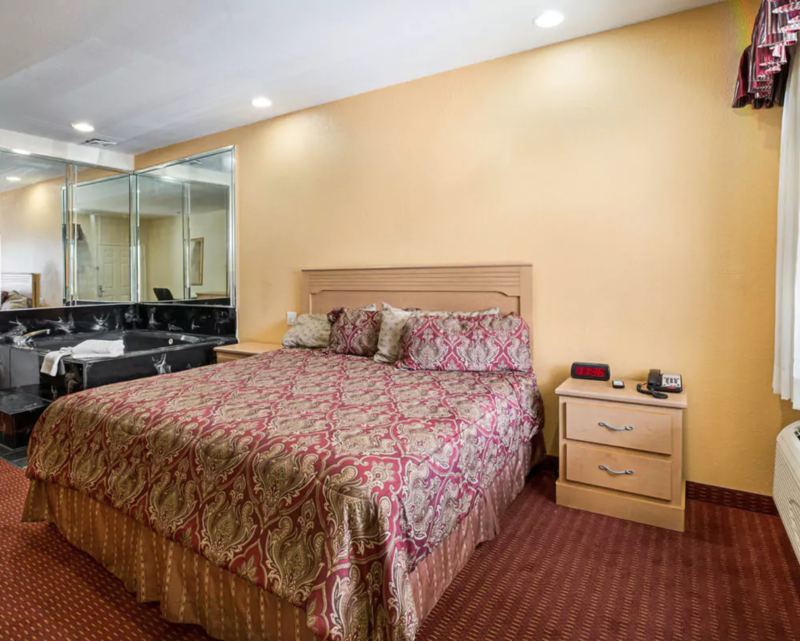 Rodeway Inn & Suites Make your day hotel stay enjoyable and comfortable by booking your day stay at Rodeway Inn & Suites. 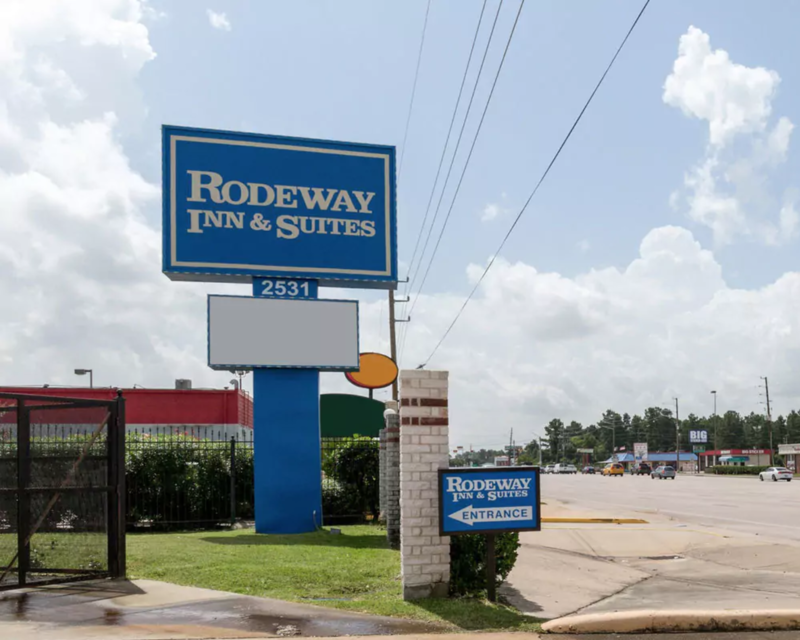 Rodeway Inn & Suites (Houston) is a transit hotel which combines cozy accommodation, friendly service, and pocket-friendly rates. 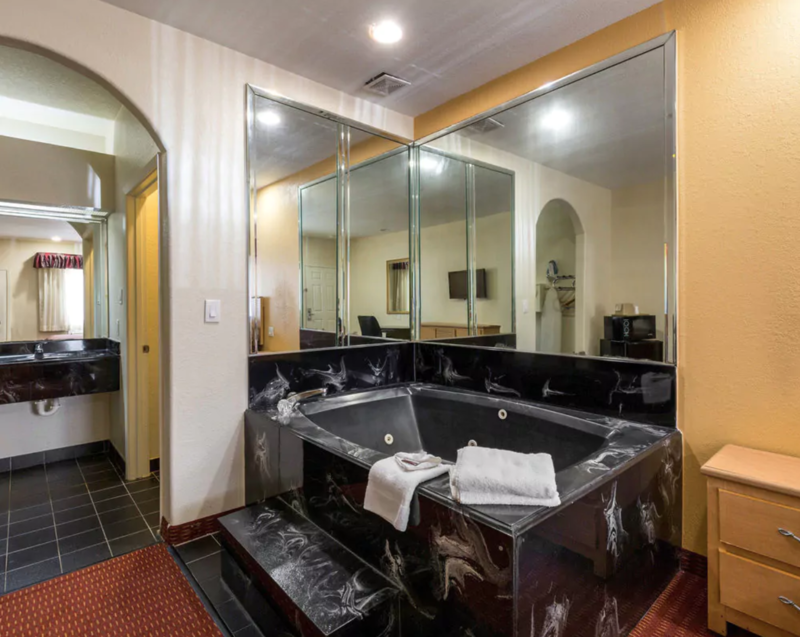 Your clean, beautiful day use hotel room will feature excellent amenities such as TV, hairdryer, coffee/tea maker, refrigerator, and microwave. 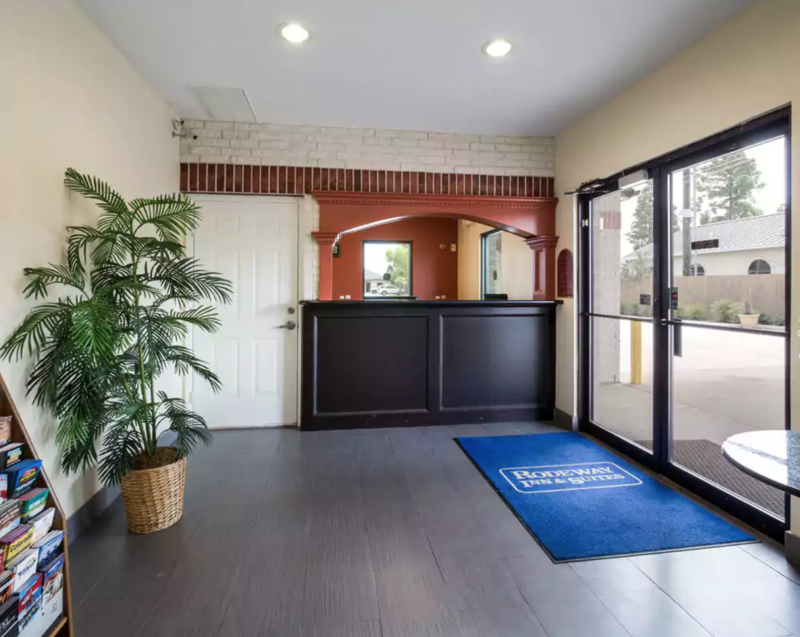 If you'll feel like you could use an energy boost, this awesome day booking hotel offers free coffee to keep you going. 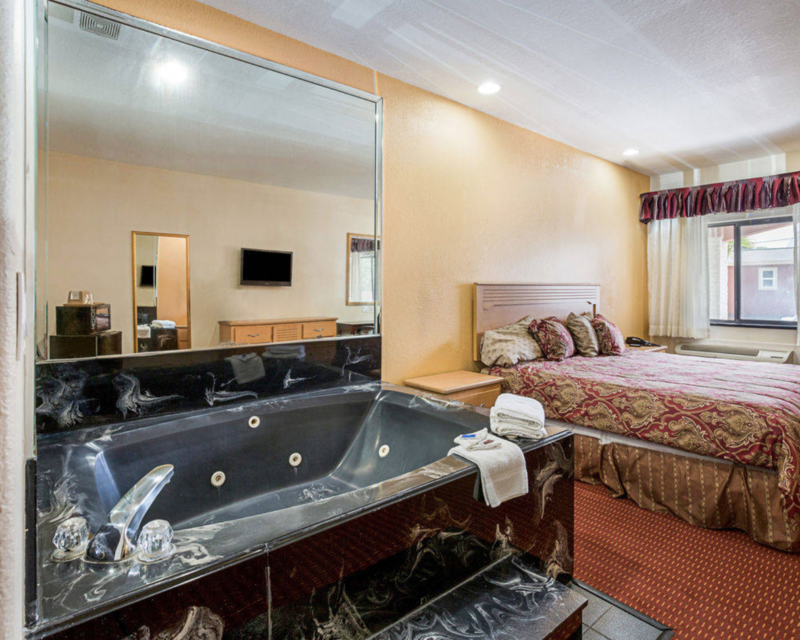 Plus, you can use the property's guest laundry facilities to always look on point. 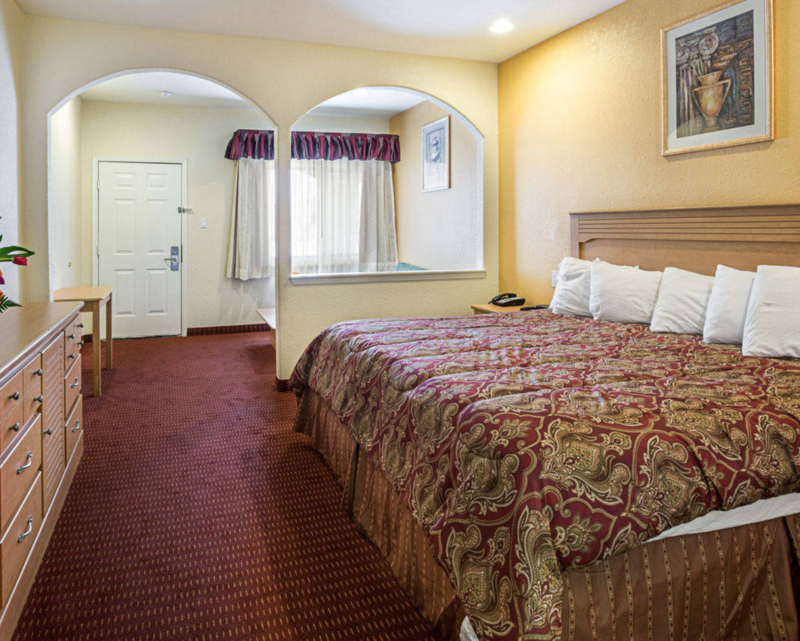 Book your private day room at Rodeway Inn & Suites (Houston) and enjoy a perfect daycation! 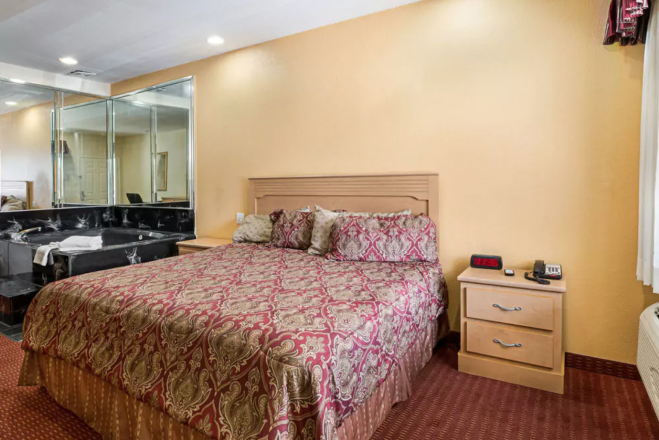 Conveniently located near George Bush Intercontinental Airport, Rodeway Inn & Suites (Houston) is also an ideal day booking hotel for exploring some famous touristic attractions. Houston Museum of Natural Science – Check out this fascinating science museum! Houston Museum of Natural Science features a superb collection of mineral specimens you can admire. Plus, you'll be able to see space-station models, a dinosaur skeleton, an IMAX theater, and a planetarium. Don't miss the enchanting, six-story butterfly center, either! NRG Stadium – Visit this awe-inspiring place! Sophisticated, beautiful, and with a splendid architecture, the NRG Stadium is the place where famous athletes and performers prepare for their big day. During the visiting tour, you will have an exclusive look at the retractable roof, turf, team locker room, stadium press box, premium seating areas, and many other highlights! Greenspoint Mall – Choose from plenty of shopping, eating, and entertainment options! Greenspoint Mall is the place to go for unwinding, walking around, finding great deals, and having a tasty bite.